Mazamet sits in a natural valley, le Thoré, at 280 m altitude, between the two mountain ranges of the Montagnès Noire and the Monts de Lacune, both rising to 1,200 m. Considering its geography within SW France, it surprises many that both ranges are the furthest outpost of the Massif Central. 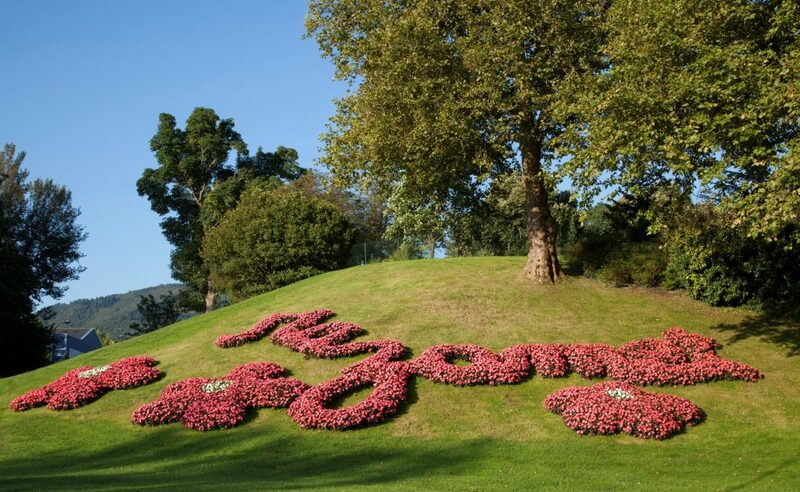 The mountains that surround Mazamet & ts fast-flowing rivers, lend much to its development from a humble beginning to one of the most prosperous towns throughout France in the 19thcentury. Evidence of early settlement in the area date back to the Magdalenian (10,000 BC). On the outskirts of Mazamet, near the village of Aiguefonde, traces of activity from this period was discovered in the cave of Lacalm. 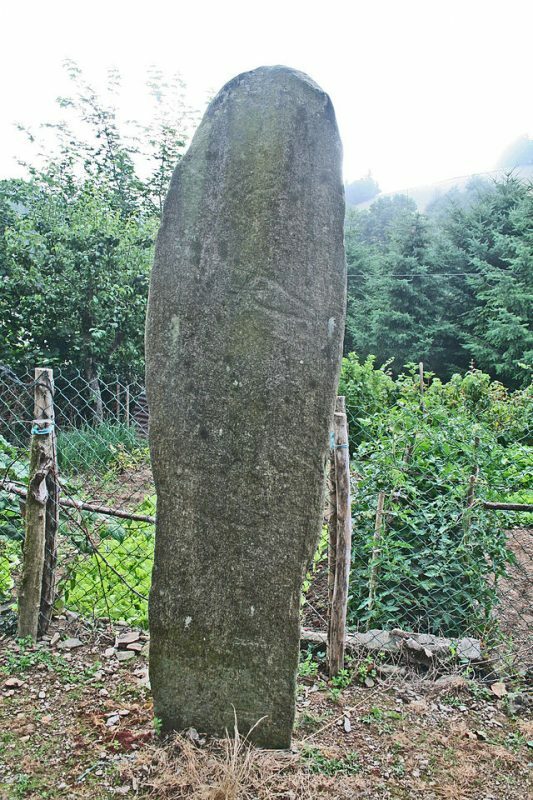 Later evidence from the Neolithic period is in the number of megalithic monuments, dotted around the landscape close to Mazamet. Various Iberian tribes and cultures impacted on the region and, for a period, Mazamet was part of the territory of the Vougues. During the Roman period, the Thoré valley became an important trading route and, in part, helped link the two Roman towns of Narbonne (Narbo Martius) and Toulouse (Tolosa). The Roman constructed pathway ‘Jamarié’, which links Mazamet to Hautpoul, can still be seen today and forms part of one of the Town’s guided walks, discovering centuries of history and linking in with the newly opened (2018) Passerelle. It is Hautpoul, itself, which pre-dates Mazamet as a settlement. History and architecture illustrate the influence which the Romans, Visigoths, Cathars & Huguenots had on the tiny mountain village down the centuries. Indeed, the name Hautpoul derives from the Latin ‘Altum Podium’ (high hillock) which became Altpol and later Hautpoul. Many legends attribute the name to the king of the Visigoths, Athaulf who, stories say, founded the settlement in 413. Legend or historical fact, Hautpoul’s strategic importance is without question and between the 6th– 8thcentury would have been an important fortified outpost with commanding views over the four valleys that stretched out below (Thoré, Arnette, Linoubre & Arn). Hautopoul also played protectorate of the Albigensian way, an ancient route through the Montagnes Noire, between Albi & Carcassonne. The village was of key importance in the 6thcentury under the reign of King Childebert I, as the border of the Visgothic Septimania ran along the ridge along the Montagnes Noire. Over the proceeding centuries, Hautpoul was home to a small community with cottage industries including textiles. It was also of key importance during the Cathar period as a place where its persecuted followers sought refuge. On April 11th1212, after a 4-day siege by Simon de Montfort, Hautpoul’s fortifications where destroyed, the village burned and its inhabitants fled. Some of the surviving community were moved lower down the valley to the banks of the Arnette river, re-establishing their textile industry; from where the town of Mazamet, and its future main industry, took root. Hautpoul itself was re-taken by Raymond IV of Toulouse in 1218 and peace returned to the village as it was rebuilt. However, bloodshed returned during the religious wars and, once again, much of the village was destroyed by the Huguenots in 16thcentury. Once again, after the Edict of Nantes ended the religious wars, Hautpoul rebuilt as a community, though it never regained its fortifications nor defensive importance. By 1462, in the valley below, the commune of Mazamet had developed its own perimeter wall and fortifications and by the early 16thcentury the population had increased to over 500. The development as a centre of textile, tanning and wool was also gaining momentum. The earliest products were a woolen blanket, known as ‘Cordelots’. In 1837, the first Jacquard loom was installed in Mazamet and the industry went from strength to strength. The importance of the town was gaining world-wide recognition for the quality of both the production process (helped by the fast-flowing & soft waters of the Arnette river which was the source for both powering the factories and washing the skins) and the end products themselves. Sheepskins, originally locally sourced from the Languedoc and then Spain, started to become in short supply by the middle of the 19thcentury which forced the mill owners look further afield. By 1851, the first skins from Argentina arrived which commenced a huge trade with the Southern Hemisphere (particularly Argentina, Australia & New Zealand) making their way via the ports of Bordeaux & Marseille onto Mazamet by train – at its height, upwards of 100,000 tonnes of skins arrived in the town annually (1912 is noted as the record year in which more than 32 million sheepskins were processed!). What Mazamet’s tanneries had development was the skillful process of removing the wool from the hide (called delainage) and this resulted in high quality leather which was then passed onto tanneries in the town and to the village of Graulhet. 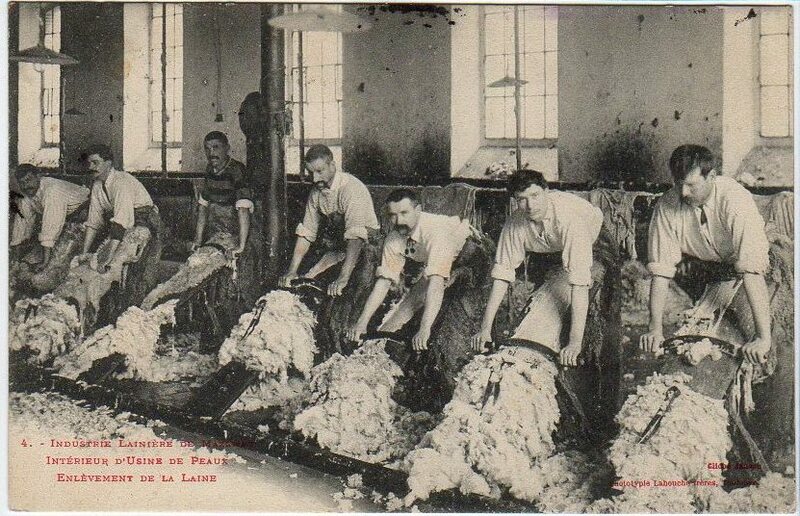 With skins coming from various countries, and therefore different breeds of sheep, it enabled the town to offer a wide variety of wool suitable for different markets throughout Europe. By the 1930’s the banks of the Arnette river saw some 40 tanneries and the process of wool/leather spurned new industries in the creation of woolen products (socks, scarves, hats & sweaters) as well as leather products (coats, handbags, shoes & wallets). By-products, including glue and organic fertiliser, also added to the industrial landscape. The resulting wealth created in the town (unusually for France, equally spilt between its Protestant & Catholic inhabitants) was substantial. 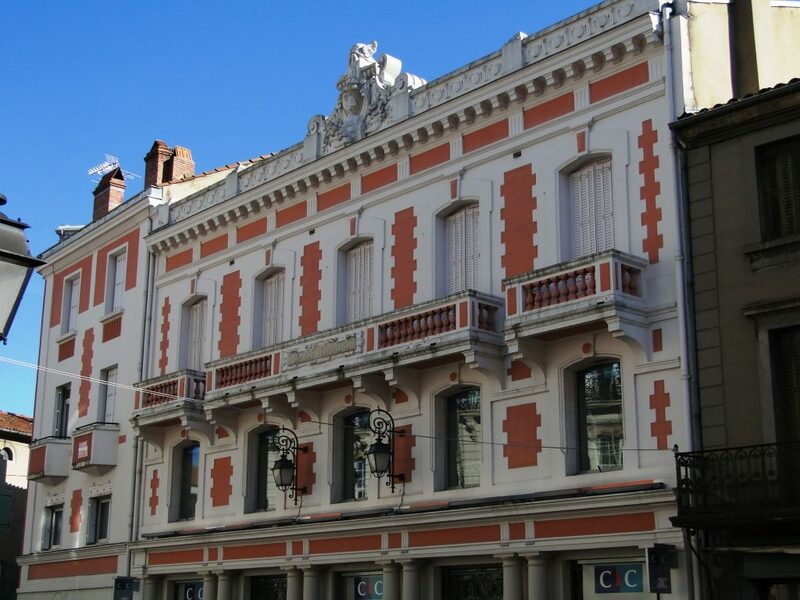 At its height, during the 1950’s, some 26 banks operated in the town and the Bank de France opened and recorded the 4thlargest trading volume per annum in the whole of its French operations. By the 1970’s there was a steady decide of Mazamet’s industires – caused in part by the growth of manufacturing in Asia as well as the development of synthetic fibres used in the manufacturing of clothing. Whilst only a very small number of the tanneries remain, Mazamet is still recognised for its high quality of leather & wool. Buyers from the likes of Louis Vuiton & Hermes of Paris frequent the town, and the commune of La Richarde has a number of shops selling leather goods and made to measure leather clothing. The wealth created by the industries is still evident today by the beautiful bourgeois properties owned by factories owners & directors, many influenced in their design by South America where trading had taken place. So too Mazamet’s world-wide links can still be seen with street names like rue de Buenos Aries, rue de Sydney and many others – a plaque on the town hall from the Government of Australia gives recognition to the importance of trade too. Since the 1970’s industrial decline, Mazamet has sought to re-invent itself and look to the future, both in its diversification of industry and the development of tourism due to its beautiful natural setting; accessibility and the huge variety of things to see & do on the doorstep and within an hour. 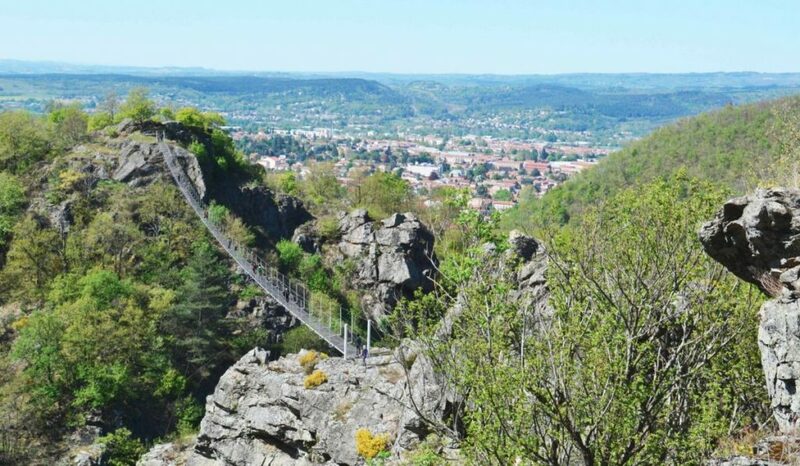 Visitors can undertake two guided walks in the town centre itself which explains & illustrates the history of its industrial past; as well as re-tracing the steps taken back to Roman times ascending to the Village of Hautpoul along the forested pathway and over the awe inspiring Passerelle. The former railway line which brought sheepskins from Beziers to Mazamet has now been transformed into a wonderful cycle path; industrial buildings are being re-purposed for projects like the new Halle (a multipurpose indoor market & event space) and a number of the beautiful bourgeois homes now welcome visitors as luxury B&Bs. Thanks to its rich industrial heritage, those who live in Mazamet have wonderful civic & community facilities the envy of towns much larger in size – from a new aquatic centre, to the Passerelle; the Palais du Congres to the Espace Apollo theatre, library & cinema complex. The mountains surrounding Mazamet, with the Lacs de Montagnes, provide a natural playground for walkers, mountain biking, fishing & horse riding. 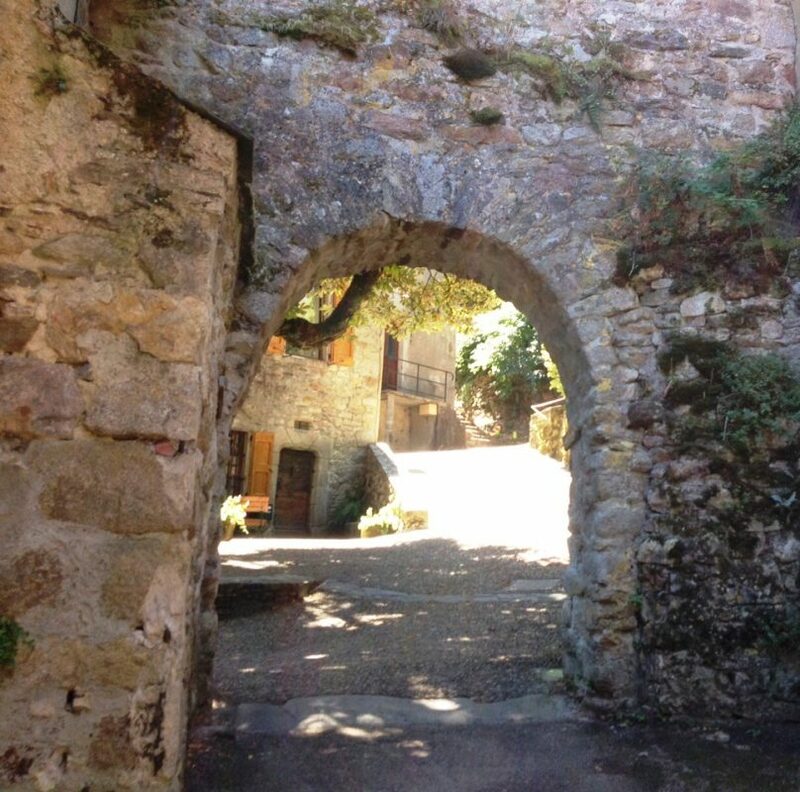 Hautpoul is your staring point to discover the Pays Cathareof ancient chateaux, villages & monuments dotted throughout the Montagne Noire and beyond. The Office de Tourisme welcomes visitors to discover both past & present – including a museum dedicated to the history of the Catharsand the team welcome visitors from throughout the world with information on everything from walking to markets. The town of Mazamet, it’s people & businesses, look forward to welcoming you to explore in person and discover more about our unique heritage & history.